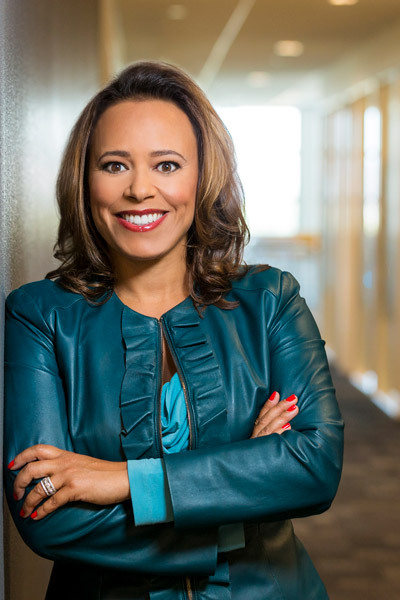 Having just begun working as chief diversity officer at Sun Microsystems, Shari Slate got her first glimpse into the implications of digital technology on diversity and inclusion. Three weeks into her job, Sun CEO Jonathan Schwartz announced that he wanted to communicate with employees primarily through his blog and Second Life, a 3-D virtual world where users create avatars of themselves and interact via voice and text chat. “Jonathan was a technology visionary. I realized the D&I implications for the work we were about to embark on were huge,” Slate says. Slate’s point of view on technology and D&I was sharpened when she moved to Cisco, where she is now chief inclusion and collaboration officer. Slate worked closely with CEO Chuck Robbins, who was then in sales to create the company’s inclusion and collaboration function. At that time, Cisco was targeting the $32 billion collaboration technology market. The Internet of Things is also transforming what is possible in the field, Slate says. It’s estimated that by 2025 the potential economic value created by the Internet of Things will exceed $11 trillion a year. And among the critical success factors that will drive an organization’s ability to harness this value is inclusive business practices, according to a Cisco study. Become an early technology adopter. Don’t be afraid to experiment with technology and get your hands dirty. The more you use the latest technologies, the more you can imagine how they could apply to D&I. Follow technology companies, subscribe to technology news sites, and stay abreast of your company’s digital transformation initiatives through company announcements and CIO updates. CDOs and CIOs need to engage in a new conversation: How can we work together to apply technology to advance diversity and inclusion in our organization? You can’t take this journey alone. Your CIO is a valuable technology partner, collaborator, and mentor. Schedule regular meetings with your CIO to create a shared vision on the power and potential of technology on D&I. D&I digital disruption requires new skill sets and competencies. Slate discovered this when she was about to launch a new solution and realized it was going to fail because it was being rolled out on a spreadsheet rather than as a digitized solution that could be accessed on-demand across the company. She has since hired a CIO with HR expertise to lead the solution design and development work in her organization. It’s a nontraditional role in D&I. “The reality is that we will never again innovate, integrate, or improve a D&I solution that doesn’t have a technology component,” Slate says. Evolve your organization to include people with expertise in areas such as data science, business intelligence, analytics, and software-as-a-service, among other things. Gathering, analyzing, and leveraging data within our organizations is critical to solving business challenges. Slate cites diverse representation as an example. “Cisco has developed a suite of digital solutions that leverage data and analytics to transform how we solve for diverse representation,” she says. Take an uncommon approach to how you leverage data and analytics in your D&I strategy. Expand your view of existing data to create transformational intelligence—actionable insights that will enable you to drive breakthroughs in inclusive decision-making. In the digital era, many of the best practices CDOs have applied to move the needle on D&I will no longer be relevant. “We need to break D&I as it exists today and reimagine the D&I practices for tomorrow,” Slate says. Tap into the collective expertise in your organization. Incentivize people to help you innovate new solutions and create new ideas for improving D&I. Leapfrogging ahead doesn’t mean doing it alone and building everything from scratch. There are a plethora of start-ups digitizing D&I systems, solutions, and practices. Expand your strategic partnerships. That’s the approach Slate took when she introduced Glassbreakers, a digitized peer-to-peer mentoring solution that attracted eight thousand users in the first six weeks after its launch.